Spring has sprung (for some) and now many are thinking about the end of the semester and looking forward to outside activities. I am looking forward to when it is warm enough to get my Mustang convertible out of winter storage and drive around with the top down. Over the past few months, my webmaster, Carl Borsani, and I have been working to making my website easier for everyone to find what they are looking for on the site. I think we have achieved what we wanted to because the drop-down menus are now clearly labeled as to what can be found there. This huge site has more than 10 gigabytes of content and continues to be FREE with open access without a login or password needed. Enjoy. I will be attending the following events in March. 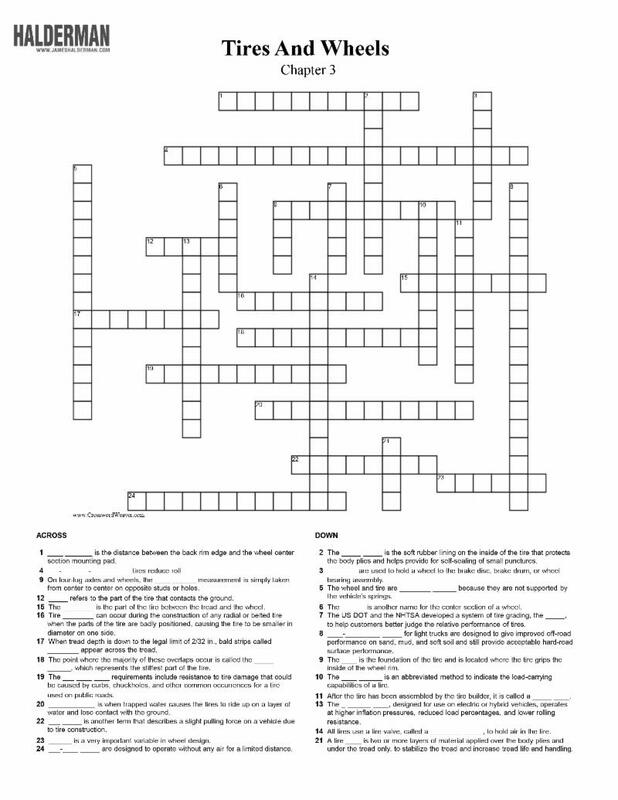 Find this month's puzzle of the month at this link and test your students knowledge on transmissions. 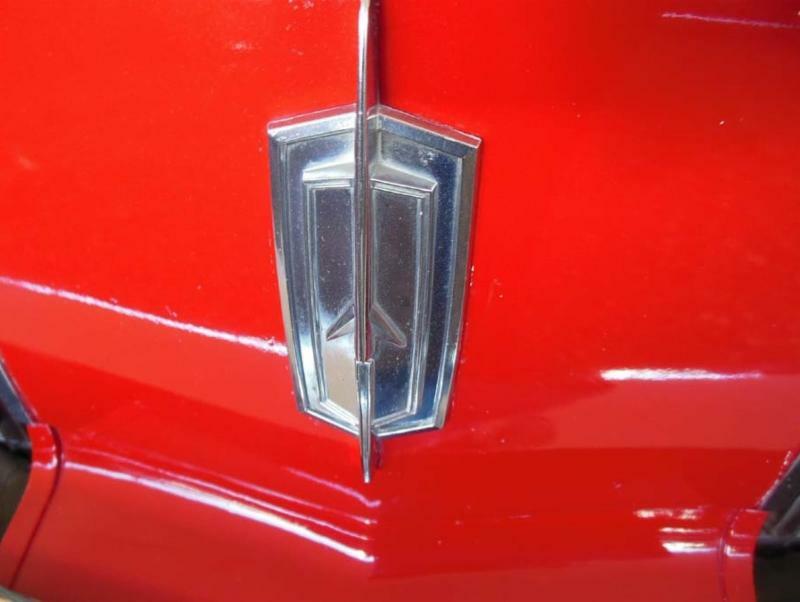 What manufacturer used this emblem? Answer at the bottom of this page! What is a knock-off wheel? 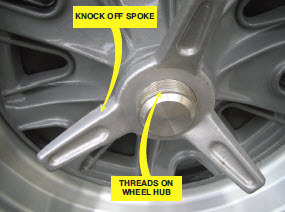 A knock-off design wheel is retained to the axle hub using one large retaining nut that has three arms that are used to loosen and tighten them. They are mostly found on older European sports cars and race cars. The wheel is removed by using a lead hammer which has the weight to loosen the nut yet soft enough to not damage the aluminum spokes of the nut. A "dry park" test to determine the condition of the steering components and joints should be performed with the vehicle ______________. The correct answer is a. The vehicle must be on level ground when conducting a dry park test; with the vehicle weight on the front wheels, resistance is applied to the steering linkage. Answers b, c, and d are not correct because these methods will allow the front wheels to move and not apply a load on the steering linkage. When servicing tires, it is often not practical to allow the time needed for the tires to cool after the vehicle has been driven. To help compensate for the higher pressures due to higher temperature, add 2 to 4 PSI to the cold inflation pressures. "My old Jeep Compass which has 170,000 miles used to call for SAE 5W-20 oil. 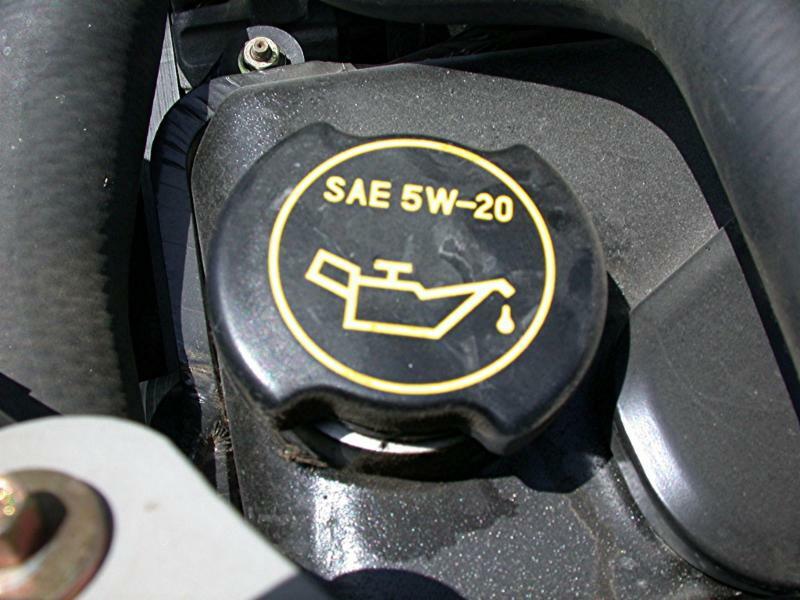 I think that with all of the wear and tear and the high mileage, I can use thicker oil such as SAE 10W-30. What is your input about that? I think the more the miles on your car should get different thicker oil". While your idea sounds like it would be right, it is not. Use the oil specified throughout its entire life. If the engine is excessively worn and burning oil with blue exhaust smoke, then yes, using thicker (higher viscosity) oil may be wise to help reduce oil consumption. However, the engine was designed to use the specified viscosity. For example, the valve lifters are designed to bleed down at a certain rate and using oil that is thicker than specified can cause the valves to remain partially open when they should be closed. This can cause a misfire and poor engine operation. In fact, I have "fixed" several engines that had random misfire diagnostic trouble codes (P0300) after the oil was changed to thicker oil by changing the oil again using the specified viscosity. I always recommend the factory specified oil regardless of age or mileage. Please let me know what you think of the newsletter. I would love to include any of your automotive news, trivia questions or any tech tips you might have. Send me your suggestions! You can email me here or visit my website. 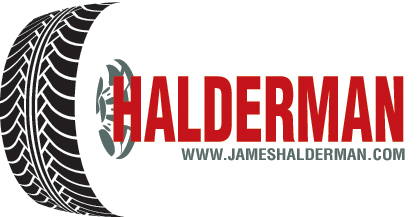 You can connect with me on Facebook, Twitter and LinkedIn too (links above). 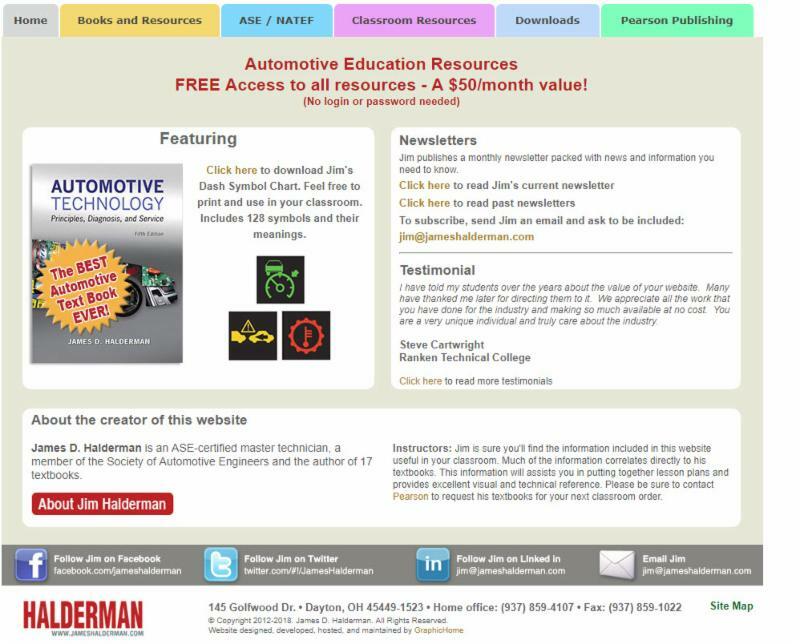 James D. Halderman writes automotive technology textbooks for Pearson Education. He is an ASE-certified Master Technician with more than 20 years instructional experience.